Garscadden Burn Medical Practice - Stressed and Depressed? Primary Care Mental Health Team provide mental health support. Call them at 0141 232 9228 or visit their website here. Lifelink provide a number of mental health services, so call 0141 552 4434 or click here to contact them. Phone 0141 944 5490 COPE Community a mental health service in West Glasgow or see their website here. Call the Breathing space phone line on 0800 83 85 87 or go to their website here. Click here to visit the Samaritans website or call their free phoneline on 116 123. Living Life is a free NHS telephone support offering Cognitive Behavioural Therapy on 0800 328 9655. Living life to the full useful tips website here. SPCMH is a useful website for tips on managing stress. 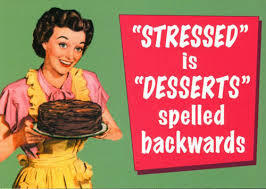 For more useful tips on managing stress click here. Click here to visit mood gym a free self-help programme that teaches cognitive behaviour therapy skills. Care information for older people here. Age UK givews advice on issues of ageing. Call them at 0800 169 6565 or visit their website here. To find a Citizens Advice Bureau near you click here. To contact Quarriers Glasgow North West Carers Centre call 0141 331 9420 or click here.